I believe some of you, especially consumers who are on constant lookout for budget products, have came across Worthy Book. With the drop in our nation's currency value and hike in price with the not so Good Smiling Tax , it is important to spend wiser than ever to prevent our wallets burn before our next pay slip. As a beauty lover, it is difficult to be not impulsive on spending, whether it's a new lipstick or latest BB Cushion on the block. We may have only 1 face, but lipsticks and eyeliners are never enough. Thanks to those constant discounts and sales, we are able to sustain our very high maintenance 'hobby'. I have heard of Worthy Books [Ladies Edition] frequent enough to know it's a booklet of deals, offers and freebies related to, well, ladies' stuff. Shopping, Beauty, Fashion, Health and Wellness. It was only recently I discover that Worthy Book has the FnB edition as well. To cater for food lovers and cafe hoppers I supposed. 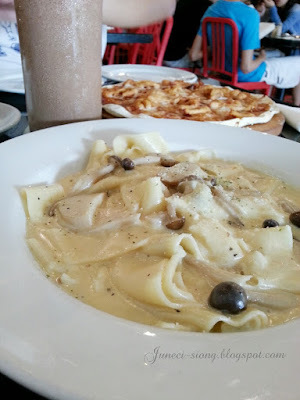 Anyhow, I was asked to review this F&B edition and since we all live to eat anyway, I decided to give it a try. First look, the FnB edition of Worthy Book seemed too good to be true. 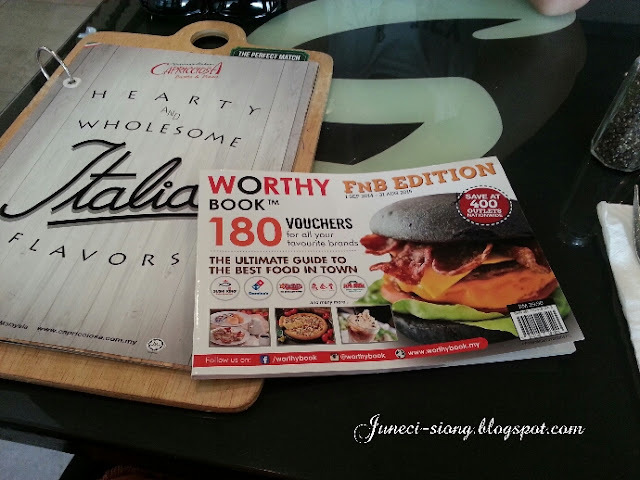 With up to 180 vouchers at various cafes and restaurants, it sounds like a good deal to me. They categories the index by Food Categories (Western, Chinese, Desserts, Cafes/ Bakeries, etc), Area, Mall and States. For the outlets' vouchers, they are arranged according to the Food Categories, to which I find very helpful. 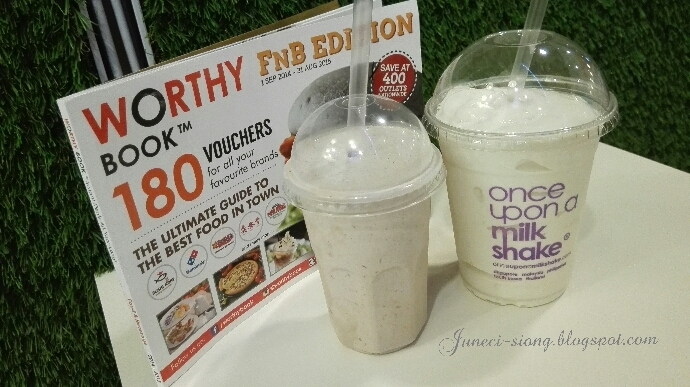 As I received this booklet at the very last minute (less than a week before the expiry of the vouchers), I could only try out 2 food outlets; the Capricciosa and Once Upon A Milkshake. I chosed these two places because it's something Mr Boyfie and I have not try before and so happen, we were in Sunway Pyramid for the Animangaki event. 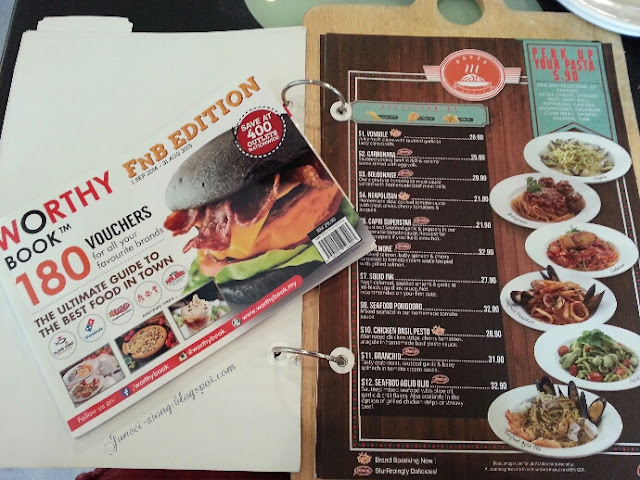 There is a total of 14 F&B outlets in Sunway Pyramid listed in this FnB edition; 4 vouchers per outlet. This place serves pasta and pizzas the Italian style. It's almost like the Italiannies, which also sells pasta and pizzas. Only one voucher could only be redeemed per table and not applicable for any other promotions or discounts. It is also not applicable on the eves and the day of public holiday; I could not understand the reason behind this. We went to Capricciosa on the 29th August. Should we decided to go the day after, the vouchers would be void due to our National Independence Day which falls on the 31st August (also the last day to use this booklet). We were deciding to use between the 50% off Pizza or Buy 1 Free 1 Pasta voucher, when the waitress informed us that we could only use the Buy 1 Free 1 Pasta voucher for selected pasta category only. What's more disappointing was they were also having an internal promotion (Buy 1 Free 1 any main course). We did not use the Worthy Book voucher in the end because their internal promotion was better. However, I must say their food was pretty decent and fill our tummies. 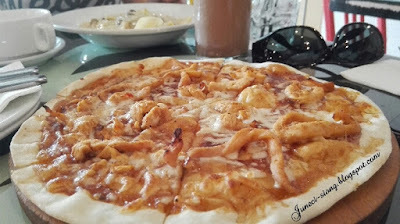 We had a BBQ Chicken Pizza and Creamy Porcini Pasta along with a Chocolake Milkshake plus Soup of the Day. All together cost less than RM50 for two. After the main course, we decided to give one last try on the desserts. Once Upon a Milkshake was a good experience. They have various and unique flavours to one's taste buds. The Durian Milkshake has a powerful punch; it is almost similar of eating the durian itself. Both of us love it so much, and I highly recommend this to all Durian lovers. In the end, we only paid RM15 for our both beverage. It is actually worth the cost because of the quality of every milkshake made and frankly, I have not tasted other good milkshake besides Johnny Rockets's. 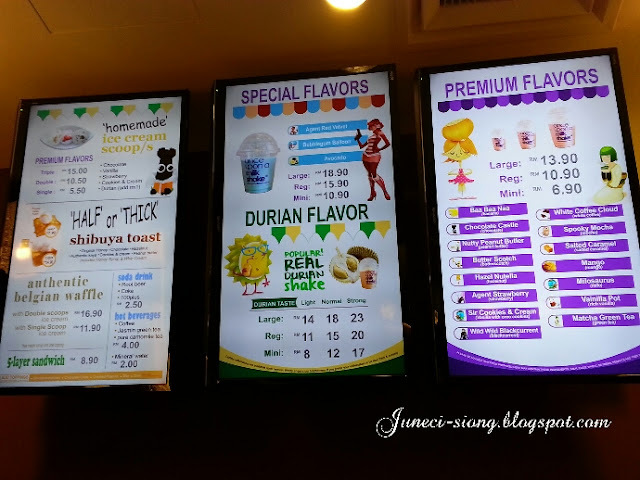 Once Upon a Milkshake is not restrictive over their flavour selection when using the voucher, which made me love it even more. Overall, the deals are more suitable if you are going out as a family or in a group of friends. They have a lot of rebate with terms and condition of spending above some certain amount, which is usually above something we both could not finish. Read up the terms and conditions behind the vouchers prior use. The vouchers, as you have read on the Capricciosa, sound good but may not be the best offer at times. This usually happens when a celebration event draws near such as Parent's Day and National Independence Day. Hence, look out for what's best for you so that you don't spend unnecessarily. After all, you are the one who is doing the paying. The FnB edition is only limited to areas in KL/ Putrajaya and Selangor. Hence, the chances of vouchers wastage due to distant locations is pretty low. For Rm29.90 per booklet , it is considered value for money. However, you must be willing to travel if you intend to use the vouchers to the fullest. As for me, I only eat out during weekends and only in places near me. Therefore, I am not be able to fully utilize this booklet to it's purpose. 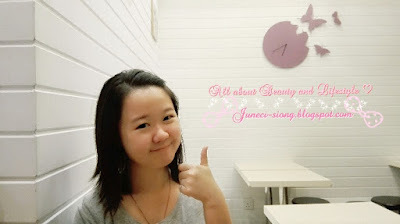 However, it allows me to discover new places to eat as how I discovered Once Upon A Milkshake. As for the short review date, it is partially my fault as I should have been more observant of the expiry date. Personally, I think this review process is pretty unfair as it's not right to offer bloggers something so close to the expiry date to begin with. It was less than 2 weeks from the date of first email to the expiry date. By the time I receive the booklet (2014-2015 edition), I have only remaining 5 days to do the review. Minus my 3 working days where I usually eat at home. I hope this will not repeat and consider lesson learnt. Here is my honest review. Worthy Books [FnB Edition] is available at all major bookstores (MPH, Borders, Times, Popular, Kinokuniya) and selected myNEWS.com and 7-11 outlets in KL and Selangor. 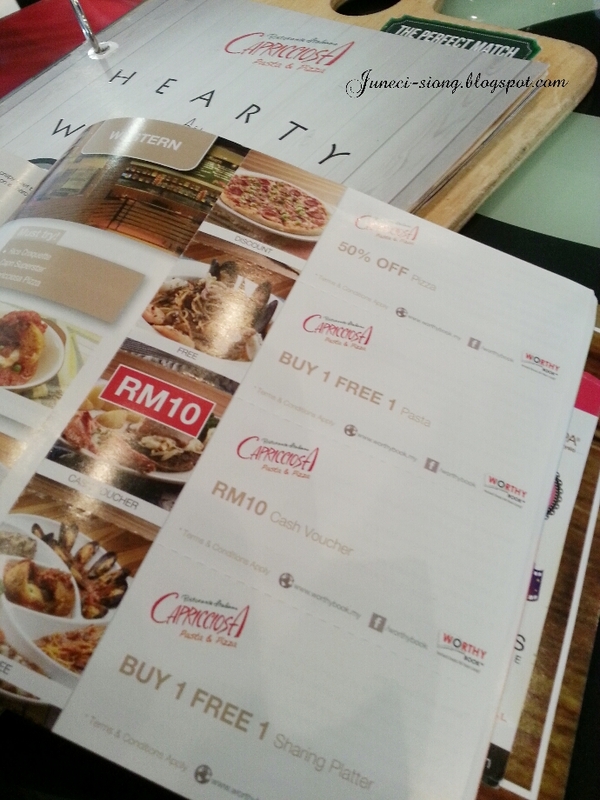 So many vouchers at Worthbook. Really worth to get it. I definitely agree on your point of view....!!!!! !I love my Worthy Book... I got mine the other day and it's so worth RM29.90!!!! I'm gonna get one for myself and try it. This is so cool!! Is the worthy book really worth buying? I wanna get a hand on that but scared never use the vouchers.